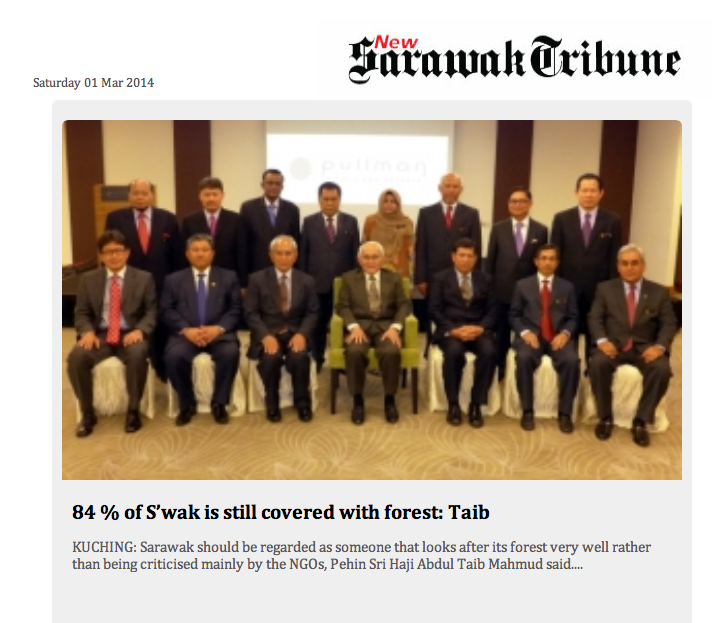 Suara Sarawak: “We ARE World’s Largest Tropical Timber Exporter” Boasts Taib! “We ARE World’s Largest Tropical Timber Exporter” Boasts Taib! Spending time in India with the ETA Star Group, a company that has had extensive business ties with members of his family in Sarawak. When he is not castigating NGOs for daring to suggest that he cuts too many trees, Taib can generally be found pontificating about Sarawak’s ‘industrial development’. At least, that is when he is back home. However, in his recent tour to India it turns out that the Governor was prepared to be more frank with his audiences. Sarawak Report has found the press releases issued by Taib’s Tamil hosts last December, which detail the claims he was making to this key market for timber as a raw material. So, there we have it. Little Sarawak is still yielding up more timber than the Congo or Amazon or indeed anywhere else in the world, despite having long since passed its peak in timber exports during the early years of Taib’s own period as Chief Minister. Of course, those widespread reports of timber siphoning out from Central Kalimantan across Sarawak’s porous borders and mysteriously acquiring official government stamps must have a good deal to do with the seemingly endless supply of Sarawak’s timber to the outside world: because, owing to the growing blanket of oil palm, the opportunities for local regeneration are increasingly limited. However, Taib has another plan for boosting the dwindling supplies of raw timber, should anyone forget. His blueprint for a string of mega-dams across the state offers the very lucrative potential for clearing all the once protected river buffer zones, which will now be flooded. Plus there is the clearance of the huge areas of reservoirs themselves to be undertaken. The Bakun Dam, completed 2011, provided billions of ringgit worth of timber in this way, cleared by the contractor Ting Pek King, who is a well known crony of Taib. Researchers have examined that contract and it is interesting to see whom they discovered to be one of the major beneficiaries of these clearances. The company contracted by Ting to do much of the logging was called Pacific Chemicals. However, useful research was provided by amongst others an American author Edmund Gomez in a book entitled Chinese Business in Malaysia, published in 1999. 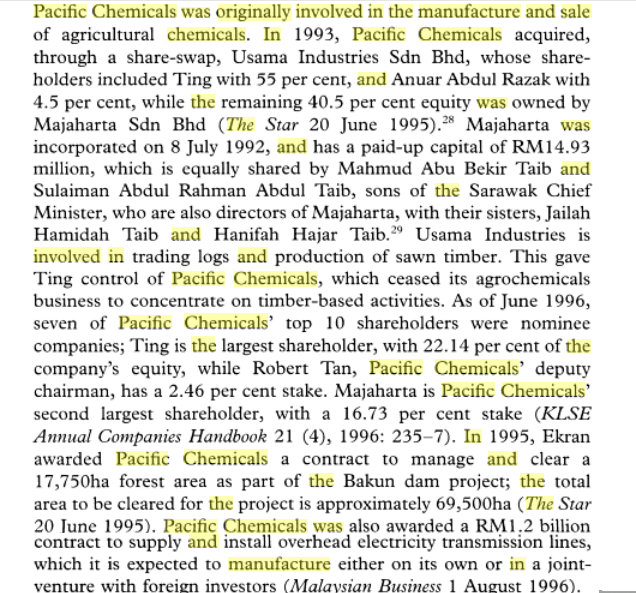 Gomez ascertained that while 7 out of 10 of the company’s top shareholders were nominee companies, almost 20% of Pacific Chemicals was controlled by the company Majaharta Sdn Bhd, owned at that time by Taib’s four children (now it is in the hands of his two daughters). Pacific Chemicals not only got the contract to clear nearly 18,000 hectares of jungle, but it was awarded the RM1.2billion contract to install the Bakun transmission cables as well. Gomez says that, perhaps not surprisingly, Pacific Chemicals immediately ditched its original core business of producing agricultural chemicals and focused on its sudden logging opportunity and finding a foreign partner to help it build Bakun’s transmission cables instead! Does this not explain above anything else Taib Mahmud’s insatiable enthusiasm for building 12 new mega-dams in Sarawak, despite the fact that Bakun is by no means working at full capacity and that the already completed Murum Dam has virtually no current functioning purpose whatsoever? And does it not speak volumes that Taib on his recent trip to India last month, for all his talk of industrialisation back home, was still in fact concentrating on flogging Sarawak timber to this foreign market? After all, even though the proposed future Baram Dam has yet to gain any form of legitimate approval and is being heavily contested by the local population, Taib has already contracted his current crony company, Shin Yang, to strip the entire region of its once protected timber. The same company ripped out the timber from Murum last year and, according to the New Zealand expert brought in to manage the building of that dam, Andrew Pattle, it is continuing to conduct dangerous logging practices in the key water catchment area above the Murum Dam basin. As Pattle explained in a recent speech to fellow engineers, tearing out the trees from the catchment of the Murum Dam is exposing it to the effects of erosion. Mud will silt up the reservoir and the catchment area will no longer be able to absorb the same level of rainfall. Murum stands a hundred miles up-river from Bakun, which is not designed to sustain any kind of breach cascade that might be created by the failure of Murum, according to the dam’s own environmental impact assessment. But, hey ho, what does any of this matter to Taib and his logging friends when there are still billions of ringgit to be squeezed out of removing Sarawak’s last trees and flogging them to India’s ready markets? The real question is how does this former Chief Minister, who is still the driving force behind SCORE, manage to have the brass neck to claim that Sarawak has managed its forests wisely and that over 70% of the state is still “virgin forest”? 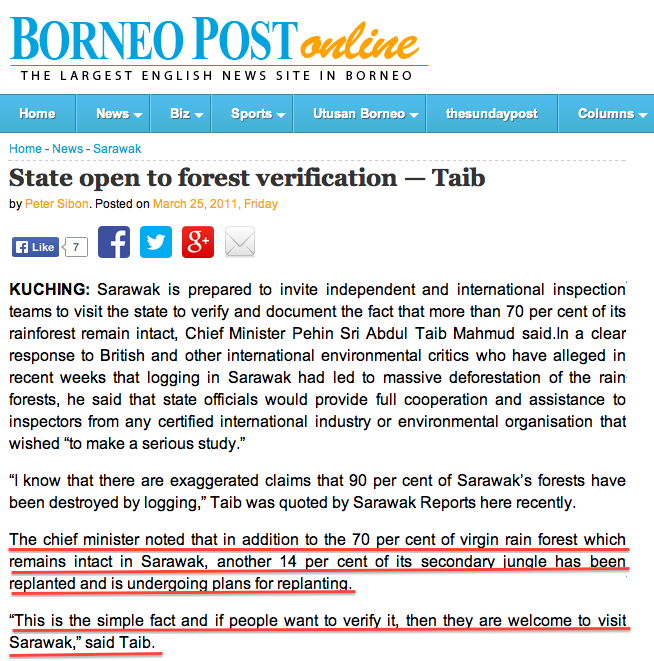 70% “virgin forest” said Taib! 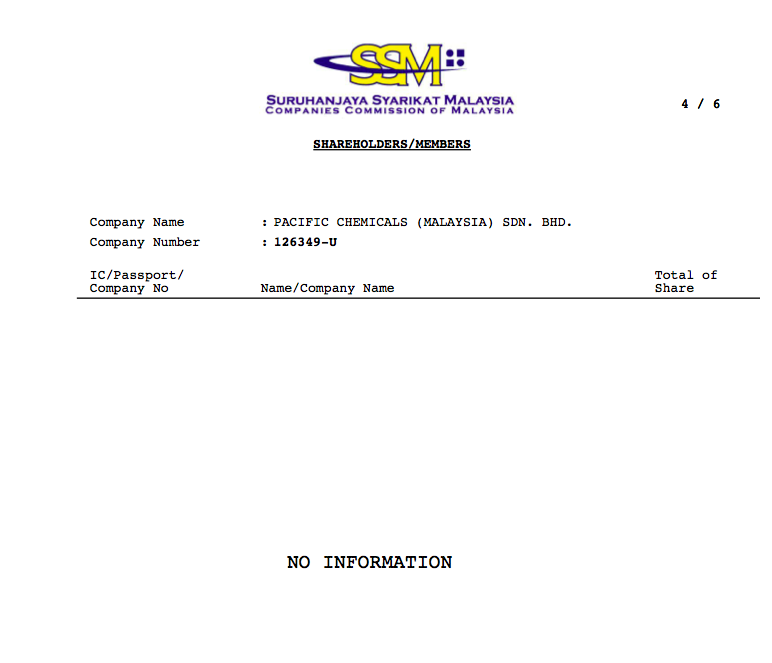 Taib’s second claim about tourism is also noteworthy. The Governor does not appear to have been pitching for his much vaunted industrial development at all on this visit. Nor, of course, was he seeking any of those thousands of workers that BN are planning to import into Sarawak from this region – after all Tamil Nadu is not Muslim. But, how on earth does Taib square his plans to destroy Sarawak’s remaining areas of interest with tourism? Does he seriously think that people will travel half across the planet to visit factories, oil palm plantations and new tall buildings that are complete old news elsewhere? Does he not understand that Sarawak’s interest for tourists lies in its unique native culture, its unparalleled forests, rivers, scenery, unspoilt tropical views, wildlife and the rest? Of course he does, which is why tourism is a sham in Sarawak and the figures on foreign visitors are as much to be believed as the claim that 70% of the state remains virgin forested or that exports have not made timber companies much in the way of taxable profits. 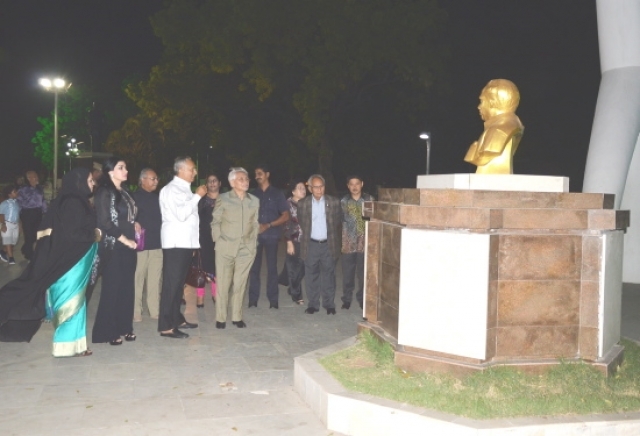 Taib is not interested in tourism. It is far less lucrative for politicians than straightforward resource extraction and as an industry it shares the profits more widely. Remember, the people must stay poor for this regime to continue its ‘model of development’.